In this weekend's list: a pair of Ottawa Art Gallery exhibitions, plus a play in which Canada's 13th prime minister explains himself. 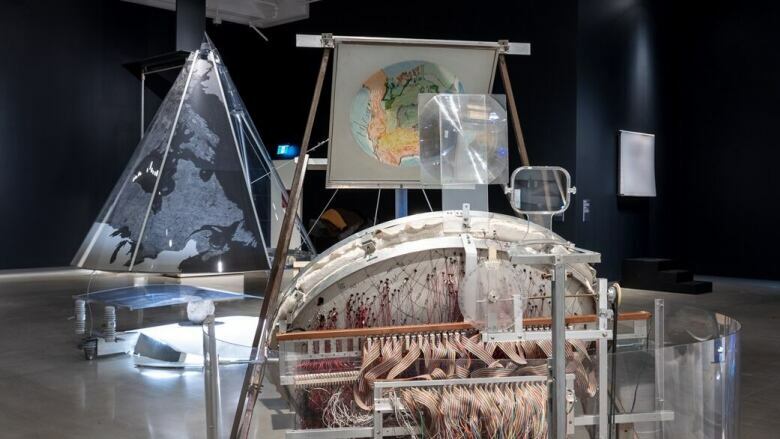 Worth checking out this weekend: two exhibitions at the Ottawa Art Gallery — one on a revived Indigenous cultural tradition, the other on the intersection of science and art — and a play in which Canada's 13th prime minister explains himself. He was a scientist fascinated by earthquakes, space and plate tectonics — but Juan Geuer was also a pioneering artist who hoped to unlock his field's mysteries for others. The Almonte, Ont., native built futuristic inventions out of mirrors, motors and Plexiglas, designed so that the curious could perform experiments and learn something about scientific phenomena. Now, the Ottawa Art Gallery (OAG) is hosting Carbon + Light: Juan Geuer's Luminous Precision, a 3D representation of Geuer's obsessions. "He was interested in everything," said Catherine Sinclair, the gallery's senior curator. Sinclair first met Geuer — who died in 2009 — decades ago when he used to drop by the old gallery. "He loved science so much, he wanted everyone to experience it,"
The exhibition also includes work by artists mentored by Geuer that bridge the worlds of science, technology and art. Where: Ottawa Art Gallery, 50 Mackenzie King Bridge. When: The gallery is open from 9 a.m. to 9 p.m. daily. When Ottawa-based Métis artist Rosalie Favell visited Indigenous communities in Australia in 2016, she met a group of women who were reviving their tradition of the possum skin cloak. The cloak is a blanket-like garment made for newborns from intricately embroidered pelts stitched together. "As the child grew into adulthood, they would keep adding more possum skins." said Favell. "They would wrap themselves in their culture to keep warm." Favell was reminded of the Blackfoot tradition of the buffalo robe, and saw the possibility of a creative collaboration between Indigenous artists from both continents. So for three weeks in Ottawa, artists met to cut, stitch and embroider together. 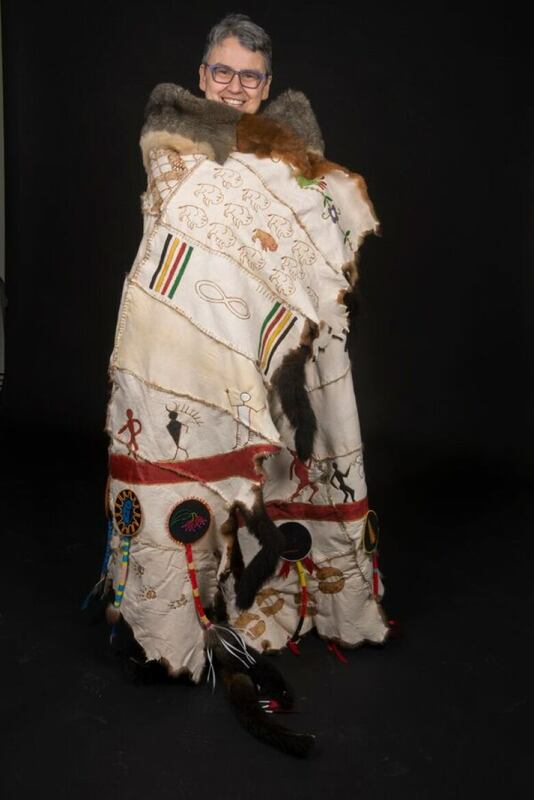 The results are now hanging at the OAG: a huge possum skin cloak and a buffalo robe of the same size, adorned with traditional symbols and fine beadwork. Photographs of the artists "enveloped and comforted and proudly wearing their culture" accompany the Wrapped in Culture exhibition. In 1962, John Diefenbaker was riding high, having been elected prime minister with the largest majority in Canadian history. But when Soviet warheads were discovered on the island of Cuba in October of that year, Diefenbaker's handling what would be known as the Cuban Missile Crisis both called his leadership into question and changed his political fortunes. Pierre Brault's play Dief the Chief revisits the anxious days of the Cold War, shedding light on the politician's actions and accomplishments. 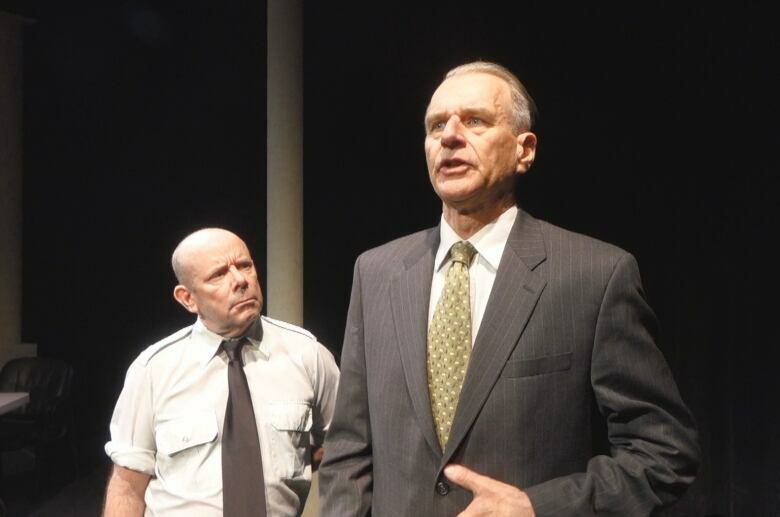 Actor Peter Haworth inhabits the role of Diefenbaker, with Brault playing an old acquaintance who takes the elderly politician on a tour of the Diefenbunker. Archival newsreels used in the play recreate the edgy atmosphere of a world teetering on the brink of nuclear war. Where: The Gladstone Theatre, 910 Gladstone Ave. When: Monday, April 15, to Saturday, April 20. Cost: Adults $39, seniors $35 and students $23. Tickets can be purchased here. 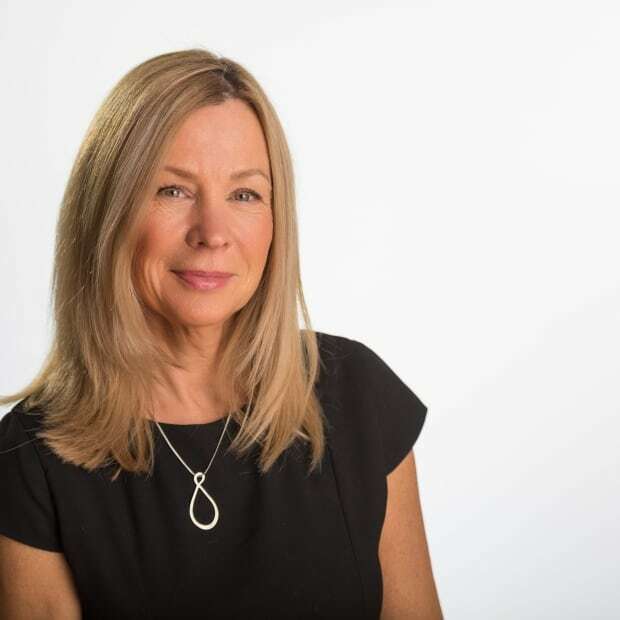 Sandra Abma is a veteran CBC arts journalist. If you have an event or idea you want to share, please do at sandra.abma@cbc.ca.